In a bowl combine flour, baking powder, salt and India Spice. Set aside. In a stand mixer fitted with a paddle attachment, cream butter and sugar until fluffy. Add egg and vanilla extract, mix until fully incorporated. Slowly add in dry ingredients and mix until dough comes together. Scoop cookies into golf ball sized portions, press a thumb print into the center about ½ inch deep and refrigerate for 30 minutes. Space cookies 2 inch apart on a sheet tray. 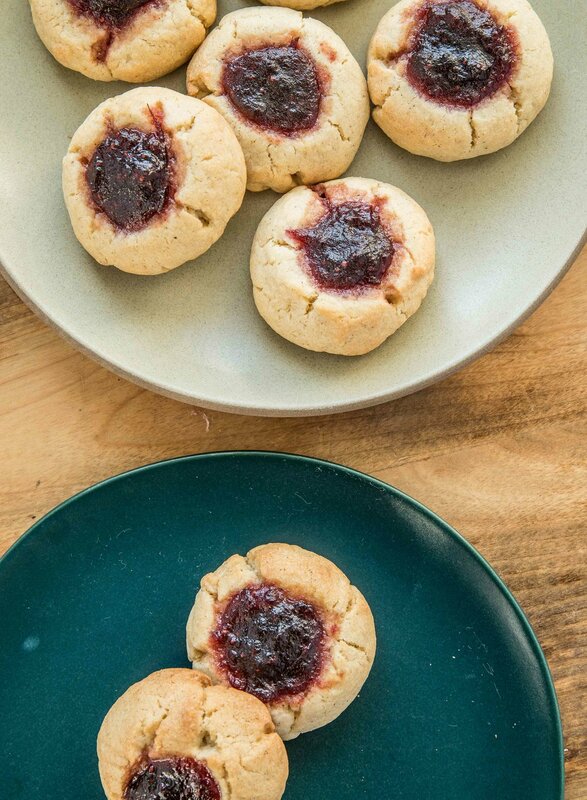 Fill the center of each cookie with ¾ teaspoon of jam. Bake for 15 minutes, until lightly brown.